This absinthe cocktail is truly a classic cocktail. It can be found in many of the first bartending books including those by "The Professor" Jerry Thomas. This recipe has been adapted—with only minor changes necessary for today's bar—from the 1887 printing of Thomas' "Bartenders Guide." If you're looking for an old-school drink that really shows off the true flavor of absinthe, it's the recipe you need! The absinthe cocktail is one of the purest ways to enjoy the notorious anise-flavored liquor that was banned through much of the world for a good portion of the 20th century. This recipe is very similar in taste and effect as the traditional method of drinking absinthe, which uses a sugar cube and absinthe spoon. In an interesting twist, bartenders of Thomas' time must have thought that absinthe wasn't enough anise for this drink. The recipe doubles up on that distinct flavor—reminiscent of black licorice—by adding a couple dashes of anisette. It should go without saying, then, that if you are going to try this drink, you really, really need to enjoy the taste of anise! Pour the absinthe, anisette, and bitters into a cocktail shaker. Slowly add ice-cold water, then ice. You will notice is that this is a very short drink, coming in at just over 2 ounces. This was a typical serving size for cocktails in the late 1800s. Avoid the temptation to make the absinthe cocktail "a double." It is a powerful one in both taste and effect and 2 ounces should be more than enough for anyone! Most modern cocktails do not include water as an actual ingredient, though it's a common addition to absinthe. 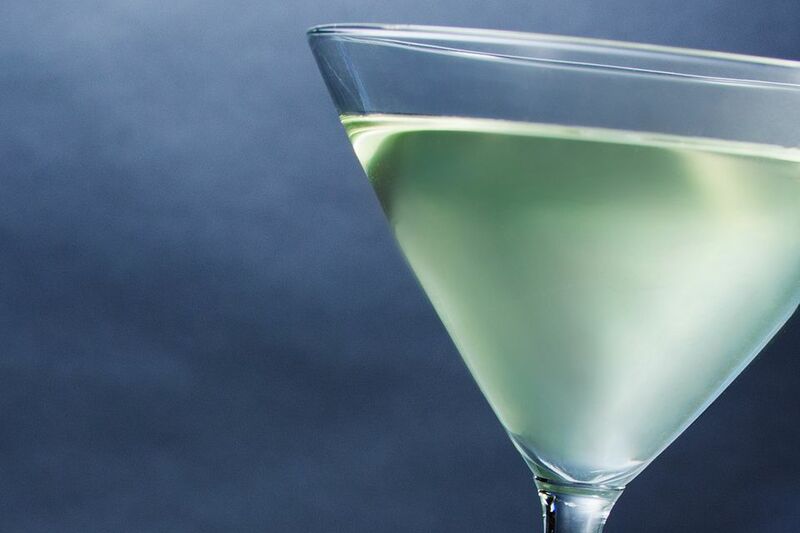 Absinthe's flavor is very bold—even harsh—and the water relaxes the taste to make it palatable. The dilution from shaking the drink with ice is not enough. Don't skip the water, but do make sure it's the cleanest, coldest water you can find. There are many great classic absinthe cocktails to enjoy. For drinks that are similar to this recipe, try the Dorflinger with Plymouth Gin, the obituary cocktail with gin and dry vermouth, the chrysanthemum with brandy and dry vermouth, or the Waldorf cocktail with rye whiskey and sweet vermouth. If you're looking for a drink that's a little lighter on the anise flavor, there are some great classic recipes that you'll want to try as well. The corpse reviver no. 2 is a fascinating gin cocktail with just a dash of absinthe. The monkey gland sweetens things up with orange juice and grenadine, along with an absinthe rinse. There is also the unforgettable Sazerac, a favorite rye whiskey drink that requires just three drops of "The Green Fairy." Absinthe is bottled at a very high proof, typically between 90 proof and 148 proof, so this is in no way a weak cocktail. Using 110 proof as an example, you can expect the absinthe cocktail to have an alcohol content around 29 percent ABV (78 proof). The ice water mellows the drink significantly, so it is actually similar in strength to the average gin martini. However, the combination of herbs that are often used to make absinthe can add to the intoxicating effects for some people (in a similar way to Jägermeister). It's best to enjoy this one slowly and stick to one cocktail per evening.